AKC Ch. Lakeside's Here Comes Trouble, "Trouble" is Rooster's 5th AKC champion. 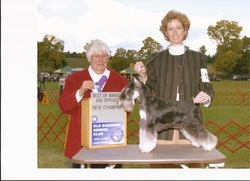 She has produced 2 AKC champions.